Tamar Jacobson was born in Rhodesia, now Zimbabwe, and traveled to Israel where she became a preschool teacher with the Israeli Ministry of Education. Jacobson completed a bachelor's degree, master's degree, and doctorate in early childhood education at the University at Buffalo (UB). As director of the University at Buffalo Child Care Center (UBCCC), she created a training site for early childhood students from area colleges, including UB. 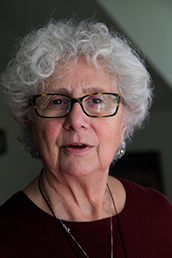 Currently, Dr. Jacobson is professor, chair of the Department of Teacher Education, and director of the early childhood program at Rider University in New Jersey. She was recipient of the 2013 National Association for Early Childhood Teacher Educators (NAECTE) Outstanding Early Childhood Teacher Educator Award, participated on the Consulting Editors Panel for NAEYC, and is a former fellow in the Child Trauma Academy. Tamar Jacobson presents at international, national, state, and regional levels. She is author of Confronting Our Discomfort: Clearing the Way For Anti-Bias (Heinemann, 2003), “Don't Get So Upset!” Help Young Children Manage Their Feelings By Understanding Your Own (Redleaf Press, 2008), and edited Perspectives on Gender in Early Childhood (Redleaf Press, 2010), a collection of academic essays from a diverse group of scholars from around the United States and Europe. Learn more about Tamar here. 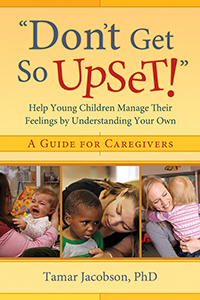 A guide for self-reflection and managing your emotions when young children seek attention. This book is also available as an e-book here. 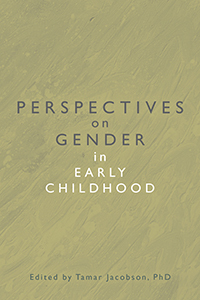 Perspectives on Gender in Early Childhood provides a rich collection of academic essays reflecting the contributing authors' research to explore and understand how children learn about their gender identity with the adults who teach them. These essays come from a diverse group of early childhood scholars from around the United States and Europe. Emotions can have a domino effect in the classroom when teachers' emotional states influence their interactions with students and alter the children's moods. Don't Get So Upset! will show child care providers how to express themselves in appropriate ways so that children will learn to do the same. 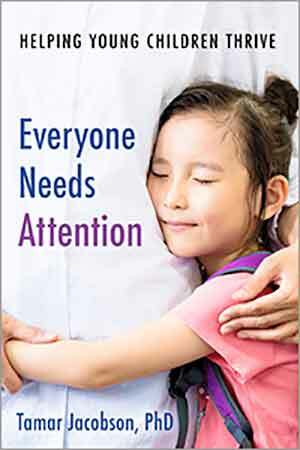 This book approaches the subject in a practical, personal, and self-helping manner that will ultimately assist you in supporting children's emotional development.